So let’s start with lenses. Anyone who has had a dedicated camera most likely understands the basic concepts around having an interchangeable lens system. You simply swap one lens for another depending on your photographic situation. Need to shoot a portrait, pop on a 50mm f1.8, or maybe you need to shoot some epic landscapes, then just swap that 50mm for something like a nice 10mm ultra-wide. This flexibility is one of the key selling points for dedicated DSLRs and mirrorless cameras. So what about smartphones? The majority of the smartphones out in the market now feature just a single non-interchangeable lens! That single lens might be ok for those generic photos you take while out on the town but it’s going to put a serious crimp on your ability to shoot much else. Newer iPhones and some Android phones now feature multiple lens to get around these limitations but you still can’t swap out your lens if you feel the need. There is, however, a workable solution to this problem in the form of lenses you can attach on-top-of your existing non-removable lens on your phone. How well this solution works depends a whole lot on how much you spend on the lenses. Cheap clip-on lenses can be fun and creative but you won’t see the edge-to-edge sharpness you can expect from quality glass lenses. 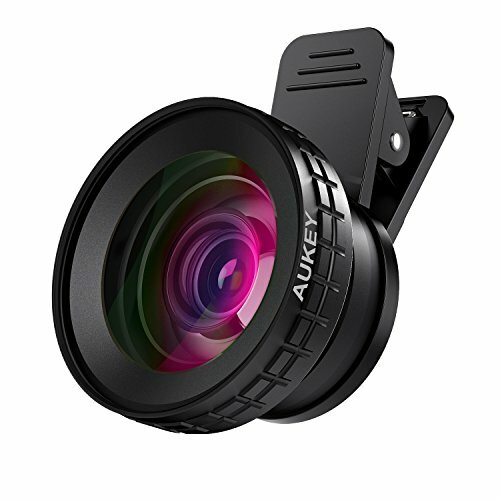 If you are looking for the absolute cheapest way to up your smartphone photography game then these super-low-cost clip-on lenses are exactly what you are looking for. Image quality can be iffy at times but they offer a great low-cost alternative if you can accept their limitations. Smartphone clip-on lenses can be a great cost-effective way to up your smartphone photography game. Some things to watch out for when choosing a clip-on lens for your smartphone. Make sure you understand what kind of lens you are buying, wide-angle vs. telephoto (zoom), and if it is compatible with your smartphone. It is super easy to mistake a super-wide angle “fisheye” lens for a standard wide-angle and vice versa. My recommendation is to look for larger, all-glass lenses that also feature a nice wide clip which helps to prevent the lens from slipping off your phone. If you are really serious about upping your smartphone photography game then there is no substitute for the sheer awesomeness of Moment lenses. Let me be clear, these lenses are quality glass and have the least distortion of any lenses I have ever used for my iPhone. I was one of those early adopters back when you needed to attach a metal plate to your smartphone to use these lenses and never regretted it. The standard Moment case and 18mm wide-angle lens (with cap and carry bag). The preferred way to use Moment lenses is by purchasing a Moment lens compatible case (see one option below) or you can buy a case directly from Moment. I have the standard Moment case and it works great both when using the lens and also just “as a case”. If cost is a concern, the Moment lens system is not for you as pricing starts at $119 for the lens and $39 for the cheapest Moment case. But if you can swing the cost, it’s by far the best way to seriously up your smartphone photography game. My personal favorite is the Moment 18mm wide angle lens which I use frequently to capture some of my best urban architecture shots. A good place to start might be the simple Moment lens case noted above or you can get serious with a photography-centric case makeover. Whenever I find myself in a situation where I am planning on shooting lots of photos on my iPhone I typically run into several persistent issues. Battery life can be a serious concern, one that directly resulted in me purchasing the iPhone XS Max over the XS, and like many of you I keep it wrapped up in a solid case to protect my investment, a case that is still thin enough to fit easily into my pocket. This setup is fine for casual shots but if I am out actively engaged in photography it won’t take long for both battery life and the generally poor ergonomics of my smartphone to start causing frustration. What if there was a solution to both of these issues, and at a reasonable price? Good news! There is, and it is called Shuttercase. The Shuttercase features a battery grip, thumb grip, and a very convenient shutter button. At first, I was a bit of a skeptic. The Shuttercase packaging says you can “shoot your phone like a DSLR”, a claim that is somewhat pushing the limits. Other products that I have tried in the past never seemed to live up to their claims as they were not really designed specifically for photographers. The Shuttercase is specifically designed to address the known shortcomings of shooting on smartphones in ways that I think make perfect sense. The case features a removable 3000mAh battery that doubles as a grip, a hardware button for taking shots, and as a bonus, the ability to attach Moment lenses. 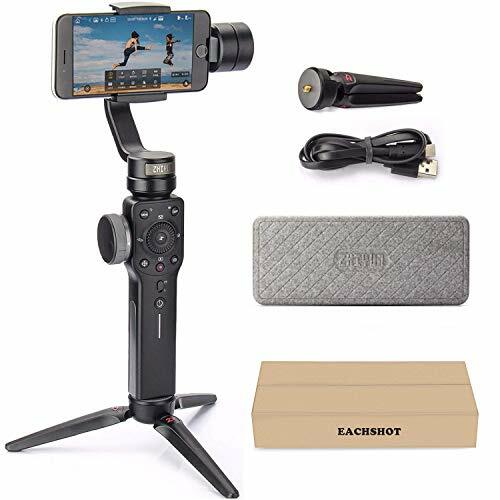 Build quality of the case is solid and I especially liked the attention to detail in the form of a small thumb-rest you can add to complete the ergonomic effect of making your smartphone feel like a dedicated camera. I have spent some quality time shooting with the Shuttercase on my XS Max and i’ve found it to be absolutely fantastic for those times when I am focused on using my phone as a photographic tool. The one-two punch of having better ergonomics combined with the extra battery life gives you greater confidence in using your smartphone as your sole camera. I especially like the Shuttercase for travel photography as it really works for shooting at a location while not taking up a ton of space in your bag. Overall, the Shuttercase is great case/system if you are looking to transform your smartphone into something much closer to that feel you get shooting on dedicated camera gear. Up until now we have been completely focused on tools that are mainly targeted to those folks who are taking still shots. What about those smartphone video nuts out there? Good news, we were saving the best just for you. No tool, technique, or process, can up your smartphone video game more than a handheld gimbal. Hands down, this is THE tool to get if you shoot video on your phone. Using a quality gimbal with your smartphone is the ticket to getting silky smooth cinematic video that just pops compared to even what the best software stabilization can offer. The icing on the cake is that most of the gimbals available right now also feature the ability to charge your phone while shooting. A smooth 3-axis handheld gimbal stabilizer can do incredible things for smartphone video. I can’t say enough about how important it is to get a tool like this if you plan on shooting any serious video on your phone. It is literally the difference between having your videos look like they were shot on a phone vs. shot on professional gear. There might be other tricks you can do to get better quality video out of a smartphone but I can’t think of anything that punches as far above its weight as one of these. So thanks for taking the time to read this post! Stay tuned for a part two that talks about all of the incredible software available to massively up your smartphone photography game. NOTE: In the interests of full disclosure, I may receive monetary compensation for any referral links on this post (hopefully). Robert Rittmuller is a participant in the Amazon Services LLC Associates Program, an affiliate advertising program designed to provide a means for sites to earn advertising fees by advertising and linking to amazon.com.